Today, Niantic announced that it has released a new event for Pokémon Go trainers, which will focus on photography. The #GOsnapshot challenge will take place from April 15 to May 22, and will center on three different challenges that will allow players to unleash their creativity and win some pretty cool prizes. Adventure #1: Buddy Challenge – April 15, 2019, to April 24, 2019 – This challenge will focus on photos that highlight the connection between Trainers and their Buddy Pokémon. Adventure #2: Habitat Challenge – April 29, 2019, to May 8, 2019 – For the Habitat Challenge, Trainers must take the best photos of Pokémon in their natural habitat. 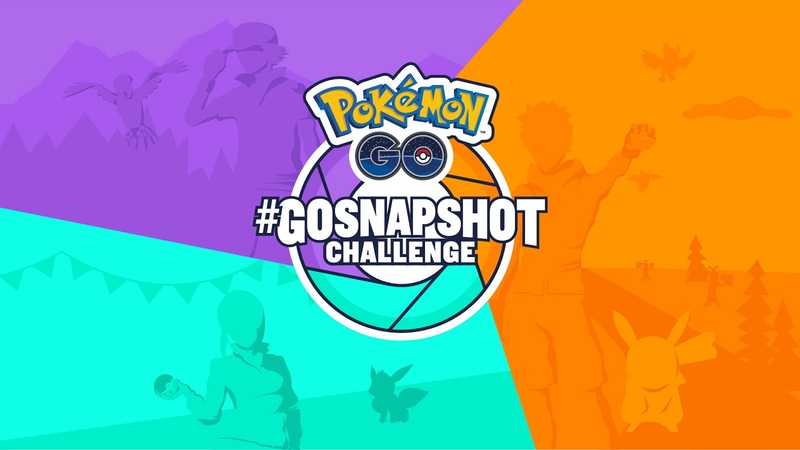 Adventure #3: Go Create Challenge – May 13, 2019, to May 22, 2019 – In the Go Create Challenge, Trainers must show how innovative they can get with GO Snapshot.